A couple of weeks ago my wonderful wife and I, mounted an expedition to Campbelltown in the middle of Tasmania to go to the Midlands Military Meet and Rendezvous. We had been previously, so knew what to expect of this curious event. 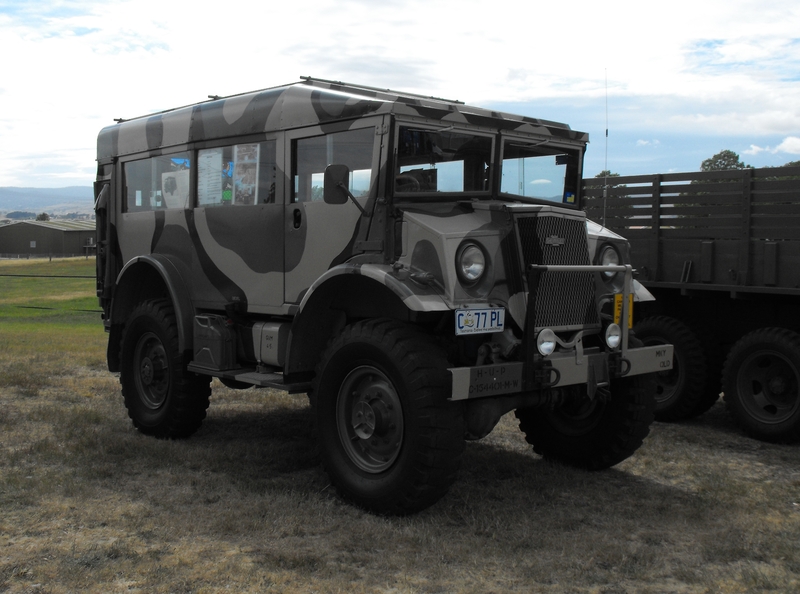 The Meet, which occurs every 2nd year, is Tasmania’s only major military history and collectibles event featuring a great variety of vendors, re-enactment groups, arms and militaria displays. It attracts a wide audience and there is always something for everyone. 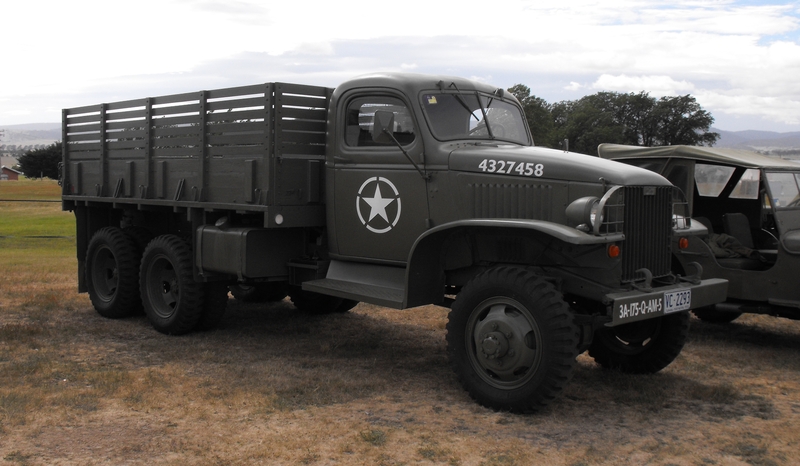 Walking into the showgrounds we were greeted by faithfully restored vehicles of mostly WW2 vintage, while the re-enactment groups were to be found encamped further on. 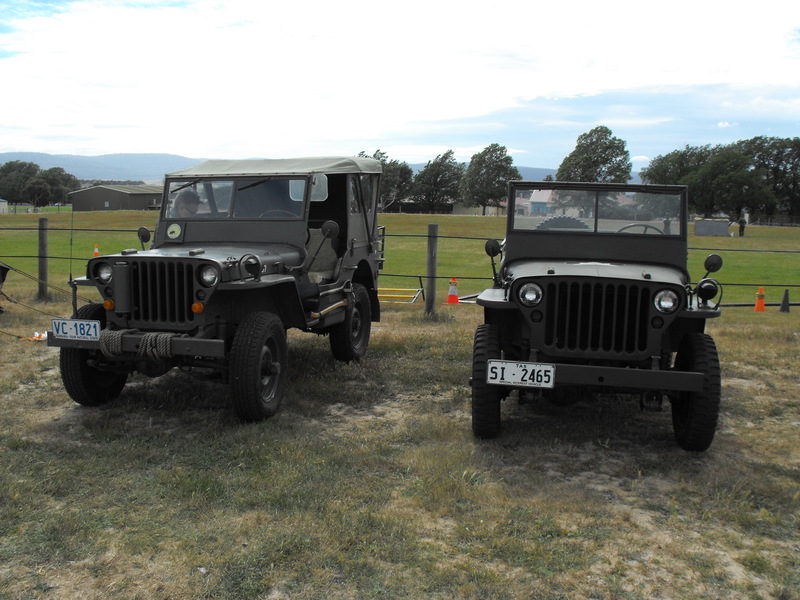 These were later formed into a grand parade of the vehicles and re-enactment groups. In the main pavilion were to be found the history exhibits and various vendors displayed their wares, including vintage firearms, edged weapons, medals and uniforms. As it is the centenary of the outbreak of WWI there were a number of displays to commemorate it. 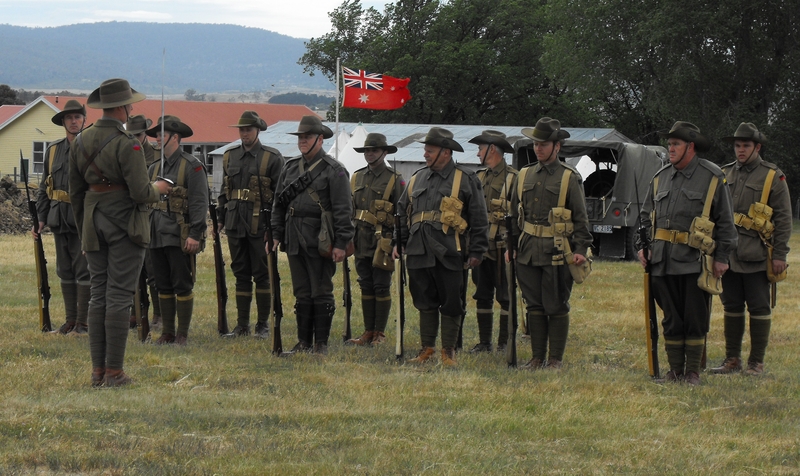 The Tasmanian Light Horse put on an impressive display of skill at arms. While the Australian Great War Association performed bayonet drill and later re-enacted an episode from the battle of Fromelles. This consisted of an infantry assault on a German machine gun nest in a pill box. The scene opened with explosions detonating around the enemy pill box from a mortar barrage. A whistle sounded and the first wave of men climbed out of their trenches, with bayonets fixed, charged towards the machine gun position. 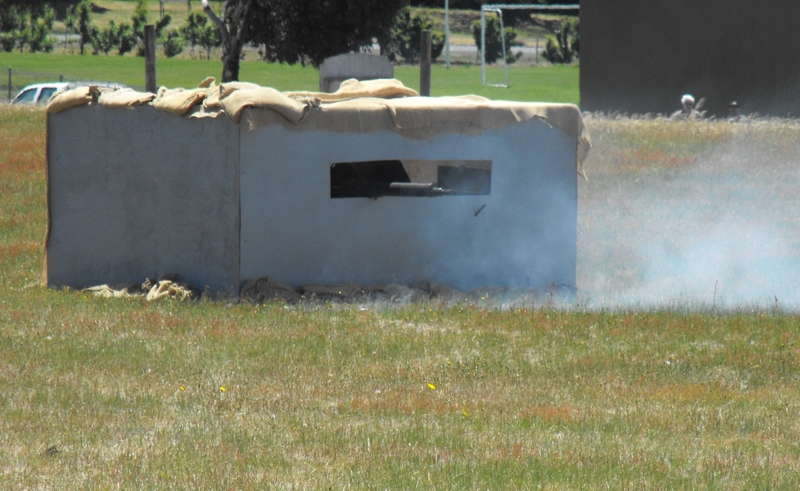 The pill box spat fire as the Germans opened up with the machine gun. The first wave was quickly mown down as they crossed the open ground. A whistle was again given and the second wave went “over the top”. The Germans opened up once again and more men were mown down but the assault went home and a grenade was lobbed into the pill box destroying the machine gun nest. One German survived and tried to make a run for it but was quickly shot down. 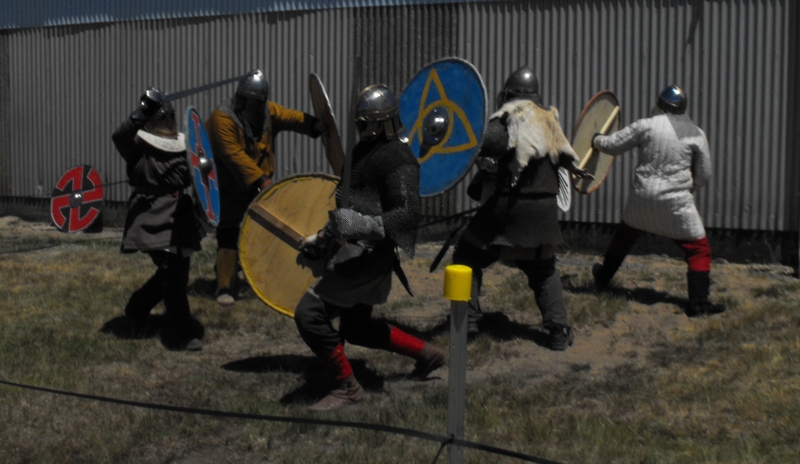 The Wayfarers of Midgard from Launceston put on a display of Dark Age close combat techniques using sword and shield and the Stoccata School of Defence from Hobart demonstrated Renaissance sword play. I only made one purchase due to a lack of funds, this was a 1930’s near mint vintage Life Guard. But we had wonderful time and found no shortage of things to look at. The lack of anything specifically related to wargaming was a disappointment. However, we were thoroughly satisfied and happy with our big day out. A small sample of the many photos from the day.